“Little Ben is doing its thing and it’s telling me how to take care of it,” says Justin Rutledge, the gentle Canadian singer-songwriter. Little Ben is not a person, but a stylish and cozy lakefront hunting cabin the musician renovated. 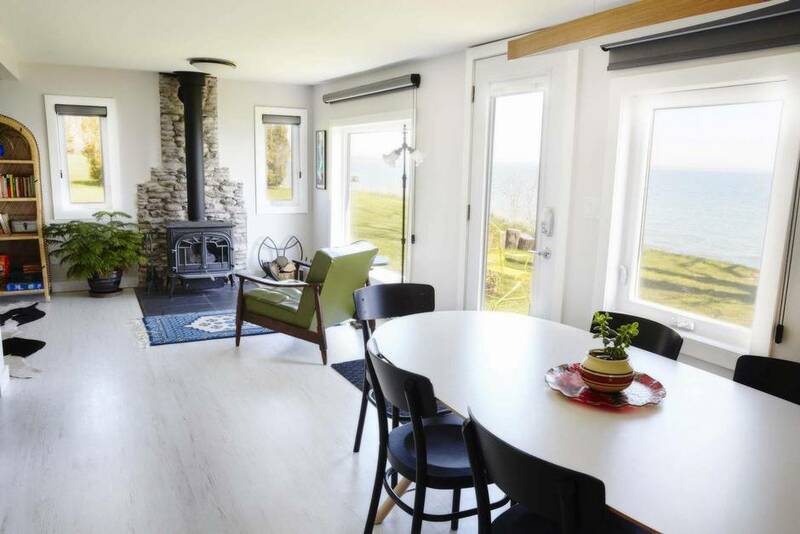 With its thoughtful library of Canadian literature, a wood stove, a million-dollar water view and a private limestone beach, the cabin is rented out through Airbnb. Rutledge is a life-long Torontonian who recently moved east to Wellington, Ont., a lovely town in idyllic Prince Edward County. He bought property that not only included a house where he now lives but a rustic 19th-century hunting cabin. It’s fixed up now, and Rutledge is noticing how the seasonal changes in humidity affect the structure. Wood contracts and it expands, and people change too. The Globe spoke to Rutledge about his music, his rental cabin Little Ben and his move to Wellington. 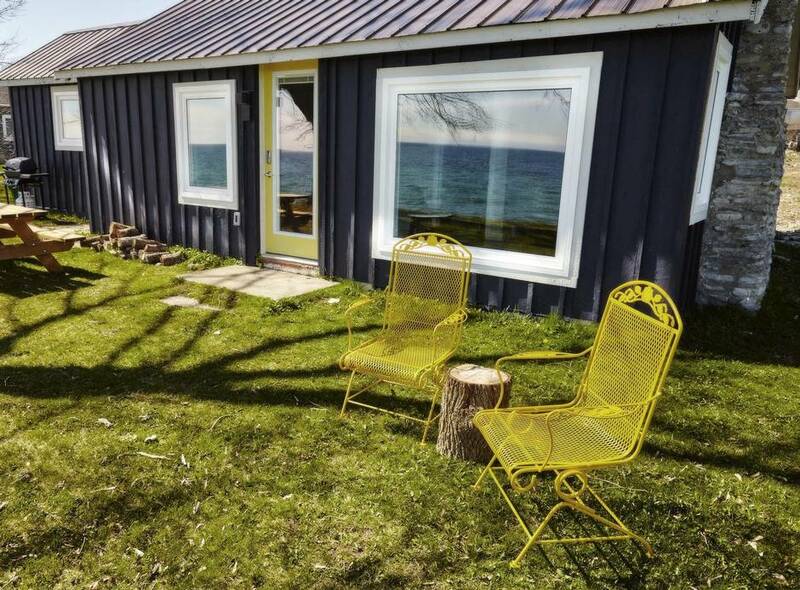 You moved from Toronto to Prince Edward County for a number of reasons, but was the idea of operating a lakeside rental cabin on your property always a part of the plan? It wasn’t. For one thing I wasn’t looking for Lake Ontario waterfront. I didn’t think I’d be able to afford it. But through some majesty, or just a really good real estate agent, it happened. I was shown this house with a little shack 10 feet from the water and suddenly in my mind I saw what it could become. And what it’s become is a well-appointed one-bedroom retreat for rent. Which is what it needed to become, right, for the extra income? Right. As a Canadian musician, we need all the help we can get. I’ve come to terms with what I do, as a singer-songwriter. I understand what I do is not going to sell out the Air Canada Centre. That being said, I’m extremely happy with the music I produce. I want to maintain that integrity in my craft, and to do that I have to supplement that somehow. The vision you had wasn’t just a pipe dream. 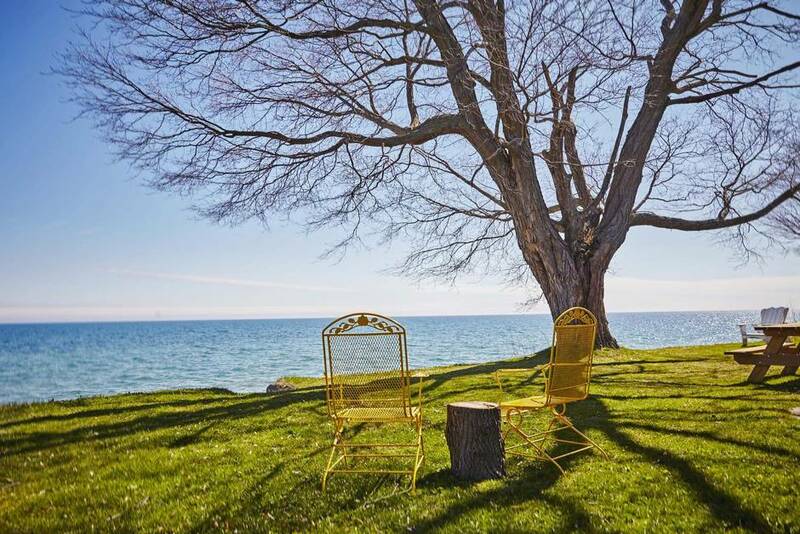 There’s a shortage of places to stay in Prince Edward County, isn’t there? The demand to come here is exceeding the amount of accommodation. I already have people booking for 2017. There aren’t enough beds, and that’s an issue here. And people are taking advantage of it, I understand. The Airbnb business is thriving, right? It is. People are hip to what’s going on, and they’re buying up property and renting it out. But it’s beginning to have a negative impact. When you look at garbage day in the winter, a lot of houses don’t have garbage out. The houses are summer rentals. What happens when people buy houses and don’t live in them is that schools start closing. The infrastructure starts shutting down. People aren’t starting families. With my place, I’m actually living here. But others are making an entrepreneurial choice, rather than a long-term dedication to the area. Can you talk a little bit about what your initial thinking was for Little Ben? I wanted to create a place where I didn’t cut corners. I wanted to create a memorable place for people. So, I did. I spent the money. I bit the bullet. I’m very unacquainted with the inn business, but I’ve stayed in a hot of hotels and a lot of nice places. There’s something to be said for memorable accommodations. It sticks with you. The title of your new album, East, actually refers to your recording of the record in Nova Scotia. But how has living in Prince Edward County affected your music, or has it at all? The album is more of a pop/singer-songwriter album, with songs like Unsettled and Heaven Help Us and The Old Oak and especially No One Knows. But I’ve been working on new material here, and, if anything it’s closer to my earlier style. A little more Americana. A little more rootsy. You close the album with Queen Street Lost, a Toronto song by Tom Parker. Why? I’ve loved that song ever since I heard it on the Backstabbers album Deep, Dark & Dangerous, in 2005. It really is reflective of what’s happening in Toronto, now more than ever. I couldn’t have written a song like that. It would have been too personal. Tom really said what I wanted to say. If you did write a song about why you left Toronto, what would you say? That I couldn’t see myself there any more. The city didn’t represent me in the way that it used to. People change. It’s not Toronto’s fault. It was perfect for me in my 20s and early 30s, but for JR in his mid-30s, I needed something else.